Disable or replace internal commands in COMMAND.COM. This program is free to use and distribute. NCD and PC Magazine's CDX are both designed as an enhancement to CD. These are just a few examples of the enhancements available. from disk), it's easy. All you need to do is replace the old DOS file. whenever you type FORMAT, what was PCFORMAT.COM will be run. What about internal DOS commands (an internal command is run from memory)? 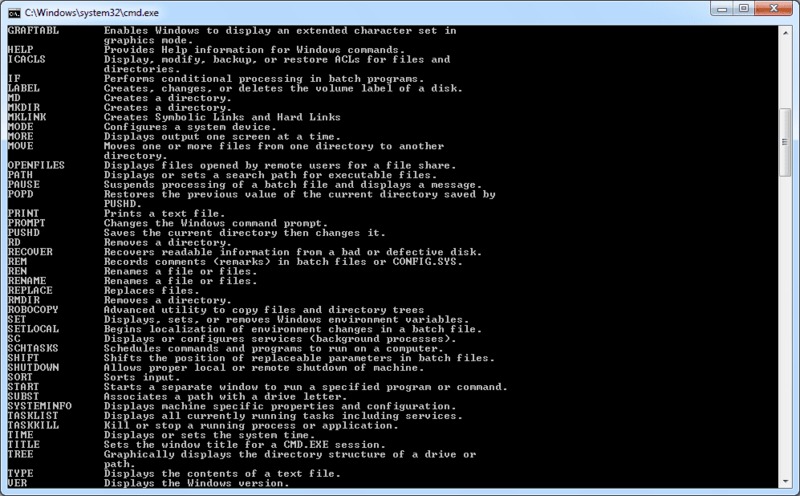 turn back on, and rename internal DOS commands. turn on, or rename. This parameter is required. environment setting to find COMMAND.COM. hang. If it does, press and hold Ctrl-Alt-Del to reboot. to rename it to COPI. After this, typing COPI will run what was COPY. would not work because "OLDCOPY" has more characters in it than "COPY".